Our continuous mission is to provide other smart owners a high level of customer service and support. Our goal is to treat our fellow owners the same way we would want to be treated when shopping for car accessories or getting a car serviced. 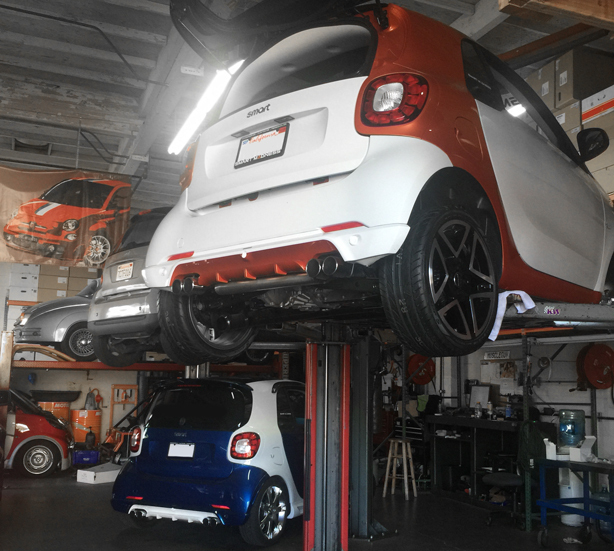 Whether you need something simple or want to take your smart to the next level, SMART MADNESS is your One Stop smart Shop. Even when stationary, Lorinser’s refined smart will impress and comes with an extra dose of pep. The reason for this is the newly designed bodywork components: Front spoiler add-on part, side skirts and rear bumper add-on part were re-designed and made considerably more dynamic by Sportservice Lorinser designers while taking the typical smart styling into consideration. A special highlight is the rear bumper add-on part. This makes room for the now centrally positioned stainless steel tailpipes of the Lorinser sports exhaust system which produces sounds normally confined to the racetrack. Lorinser typical perfection in every detail. The areodynamic-set from Lorinser satisfy all expectation when it comes to design, safety and quality. Get more power through the TÜV-tested performance module from Lorinser and bring your three-cylinder turbo to a new level of power. A look at Lorinser’s two-pipe large-volume exhaust system suggests that this model will leave all the other cars on the highway in its wake. The new "Speedy" Light-alloy Wheel are now available for the smart 453. The one-piece 17" wheel will give more sportiness to imposing smart. We are experienced in how to properly install every Lorinser Product and can assist you with any questions. 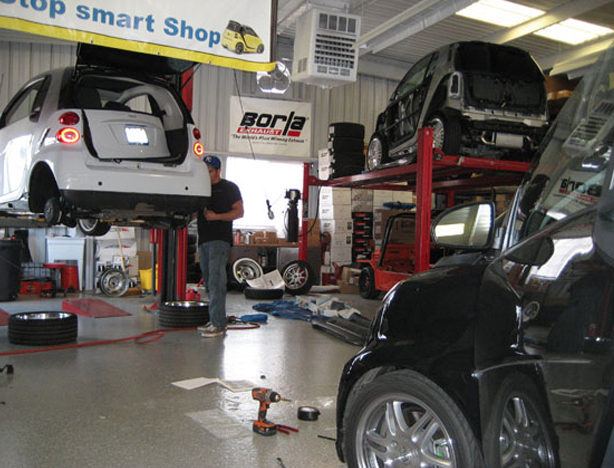 We offer a full transformation service and can can build you a fully custom Lorinser smart. Careful, it's hot - you better wear an apron! Becouse this is the Lorinser apron that makes the emotions boil over: with a huge 110 mm extension of the trach width of the complete car! This optimises the road-holding of your Lorinser smart, and visually you won't be left standing either. 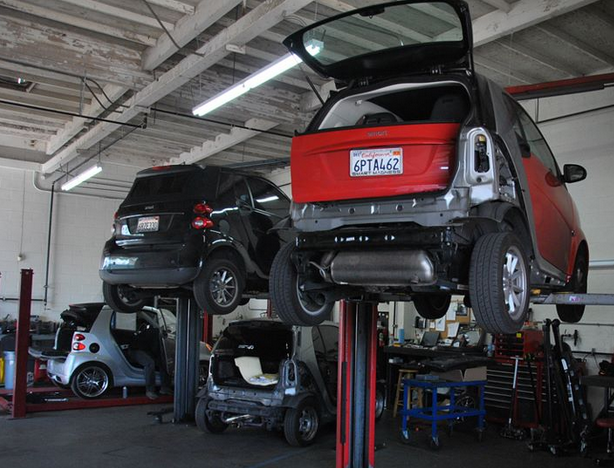 We are authorized by Lorinser to build turn key Lorinser Edition smart cars on premises. Please contact us directly for more information. How much luxury can you pack into 2.70 meters? Carlsson provides the answer with their new smart fortwo (453). Labelled Carlsson CK10, the distinctive aerodynamic components and alloy wheels of this tiny wonder make it stand out from the crowd. The 17-inch Carlsson 1/16 DS alloy wheels fill out the wheel arches, while Carlsson sport springs lower the ride height, giving the car a more purposeful stance. The Carlsson front spoiler and rear roof spoiler deliver a sleeker look and aid stability at speed. A matching rear valance, with cut-outs for the four-tailpipe sports exhaust, completes the sporty look. The bespoke interior, upholstered in the finest leather trim, is befitting of a small luxury car. Carlsson customers can specify a wide variety of colours and finishes to make their car truly individual. We carry the Carlsson Product Line in stock. We are experienced in how to properly install every Carlsson Product and can assist in building you a fully custom Carlsson smart with a very large variety of options. Shop with confidence knowing you are getting the best prices around! Found an item for less? Simply give us a call directly and we'll beat it! and installation of OEM/ Aftermarket Parts. We also offer full customization services on premises.